Test drive some of our educational content with these example materials. This lesson should take 45 minutes. 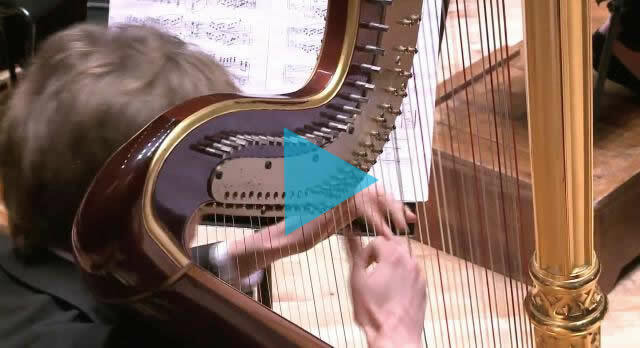 The Young Person’s Guide to the Orchestra by Benjamin Britten provides a fantastic introduction to the instruments your students will encounter in our regular broadcast series or as a general introduction to OpusYou. We recommend you complete all of the activities below in advance, drawing particular attention to the instruments we will feature in our sessions. Alternatively, before each broadcast you could focus on the instruments your students are about to hear by playing the relevant sections of the music as detailed below. Please note that the performance is recorded in two parts. You can prepare your students before each broadcast by downloading this preparatory worksheet. All suggestions can be adapted and are tailored to your individual requirements. Download and print out these pictures of orchestral instruments and create a set of sixteen instrument picture cards. 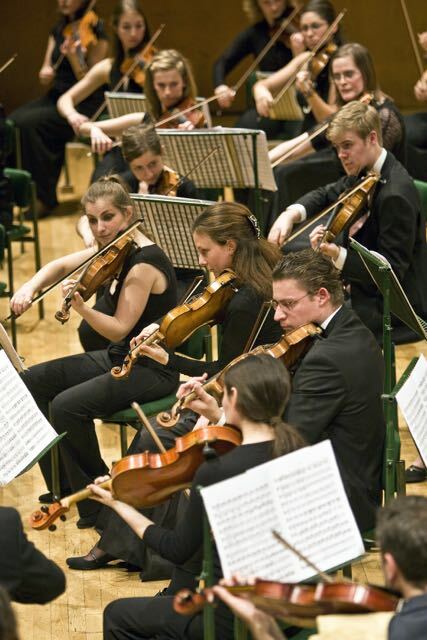 Play the introduction to Part 1 of The Young Person’s Guide to the Orchestra for your class. 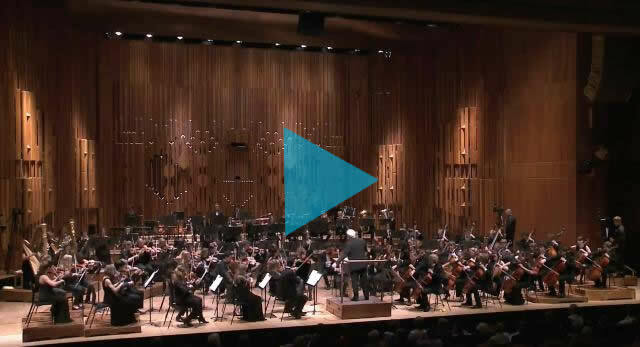 Play the performance of Part 2 of The Young Person’s Guide to the Orchestra for your class. The piano belongs to the keyboard family. 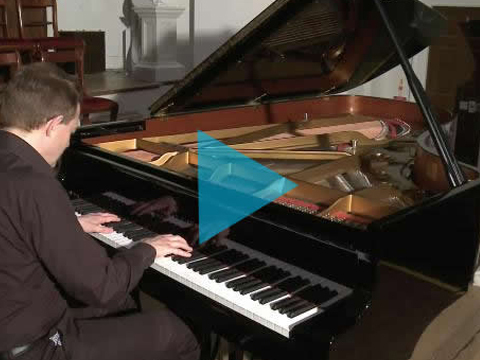 Introduce your students to this Intermezzo for Piano, Op. 117 No.1 composed by Johannes Brahms. Explore the different parts of an orchestra with our interactive imagery. 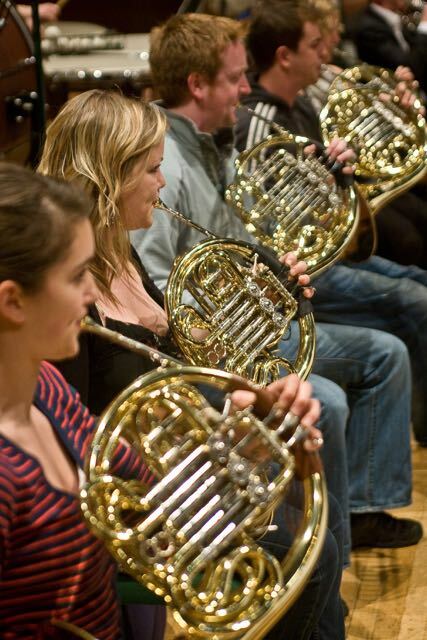 The brass section has several trumpets, French horns, trombones, and one tuba . These instruments are especially important in the loud and exciting parts of the music. 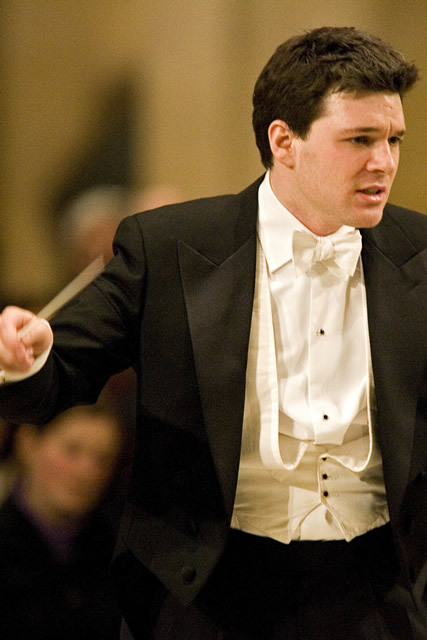 A conductor directs the musicians with a stick, called the baton. It is the work that goes on before the performance, called a rehearsal, where the real magic happens. The percussion section has all sorts of instruments, especially those that you can hit, rattle or shake. 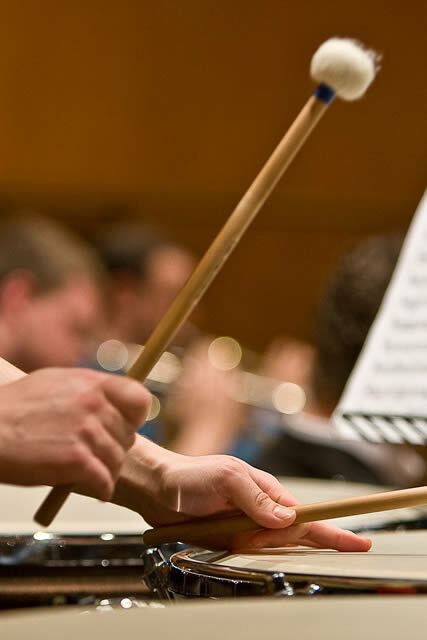 In a symphony orchestra, kettledrums or timpani make the music more exciting. The string section is the most important part of a symphony orchestra. It has more than half of the musicians and consists of violins, violas, cellos, and basses. 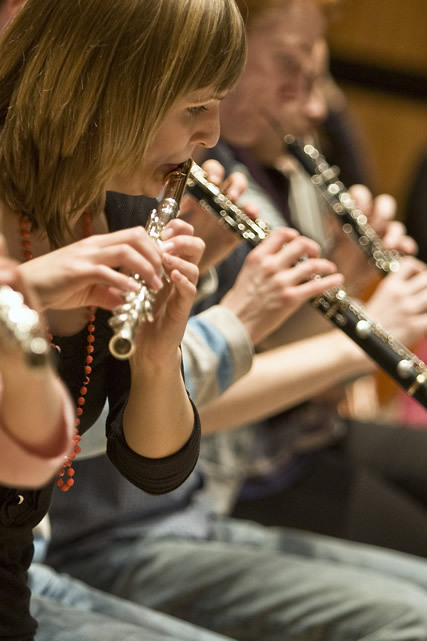 The woodwind section consists of flutes, bassoons , oboes, and clarinets. An orchestra can have between two and four of each of these instruments. Music is one of the most precious subjects for children and yet so many of them don’t have access. OpusYou will give them that chance and excites me more than I can say.